So.. I went out today for a solo six so that I could try this Heart Rate Training thing out, and I gotta say…. it wasn’t too bad! Since I wanted to try this out, I missed out on a fun group run with my squad who went to a trail about an hour away and had the most beautiful views ever, so I was kinda bummed about that, but I’m committed to giving this thing a shot so here goes. First, I want to mention that I tried a new “pre-workout” drink made by AdvoCare.. www.AdvoCare.com I really love their products, the Spark energy drink being my fave, because it’s sugar free and caffeine free. It’s basically a vitamin and amino acid supplement that gives you natural energy and also helps with focus, so I’ve been buying that for a while now, but anyway, back to the pre-workout drink. This is a new product for them, and they only have one flavor right now (Strawberry lemonade). It tastes great and you just mix with 8oz of water and drink 30-45 mins before your workout.. so, easy peasy. Anyway, so that gave me the energy to get started, and so I set my Runkeeper on my watch to have a max heart rate of 145. The Train Like a Mother program suggested max is 140, but I gotta start somewhere right? I mentioned in my last post that I was worried about losing my speed so I decided to compromise and be a little rebellious. I set my SoundCloud up to listen to their podcast “Heart Rate 101” as I took off. Ironically enough, one of the items addressed during the podcast, was that many people have the fear of “losing their speed”. Sound familiar? Lol! So, it was really helpful to listen to that and know that it’s normal to think that way, but as I have been reminded, this will only help to build up stamina, in a more safe way (being less prone to injuries) and that it doesn’t mean I will be this slow on race day. I had heard things about heart Rate Training making a persons average (training pace) at around 16, 17, even 18 miles per minute.. mine only ended at just over 13. Approx 3 miles per minute slower than my normal average, but I can live with that because I felt great! 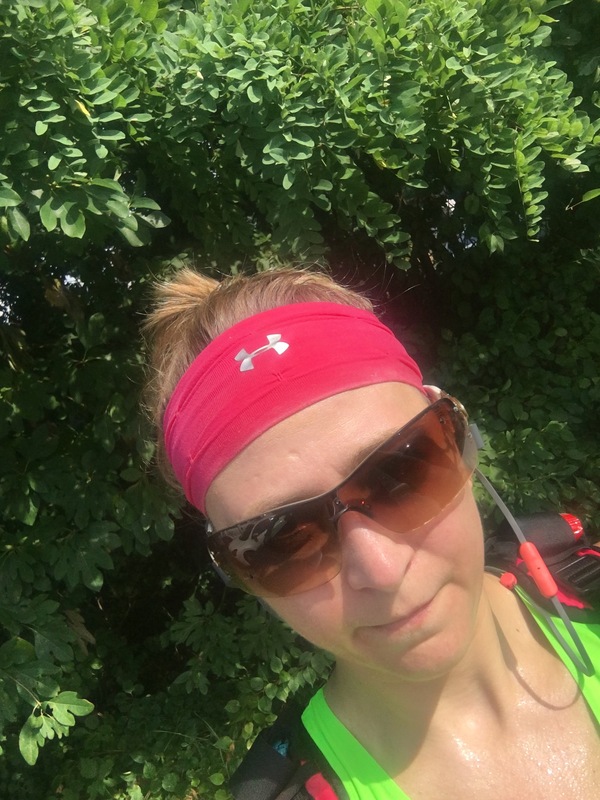 During the whole entire run, even with this crazy heat and humidity that we’ve been having. I just kept an eye on my heart Rate and took a walk break when it inched up higher than it should and then ran again when it went back down.. 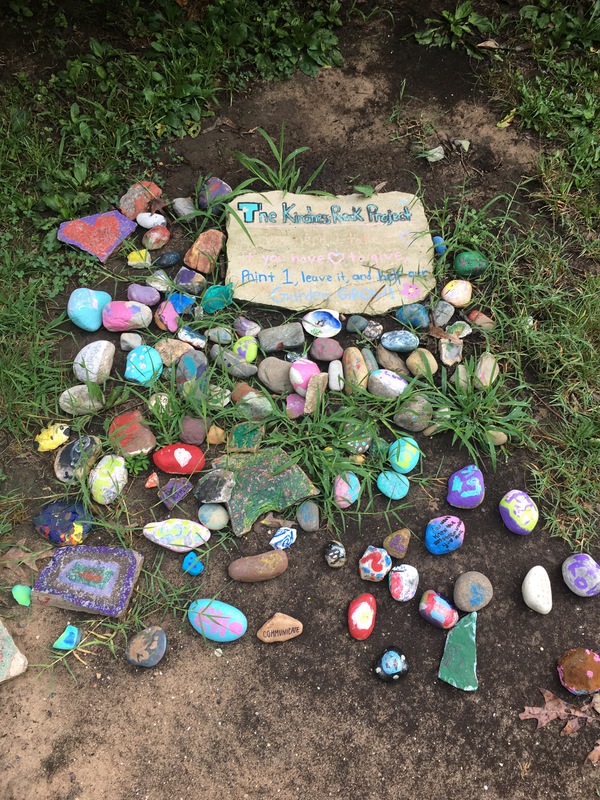 I wanted to share some pics from my run this morning because the trail I ran had a #KindnessRockProject which I LOVED!! That’s what we need more of in the world today, just spread the love and stop being so judgemental of one another! 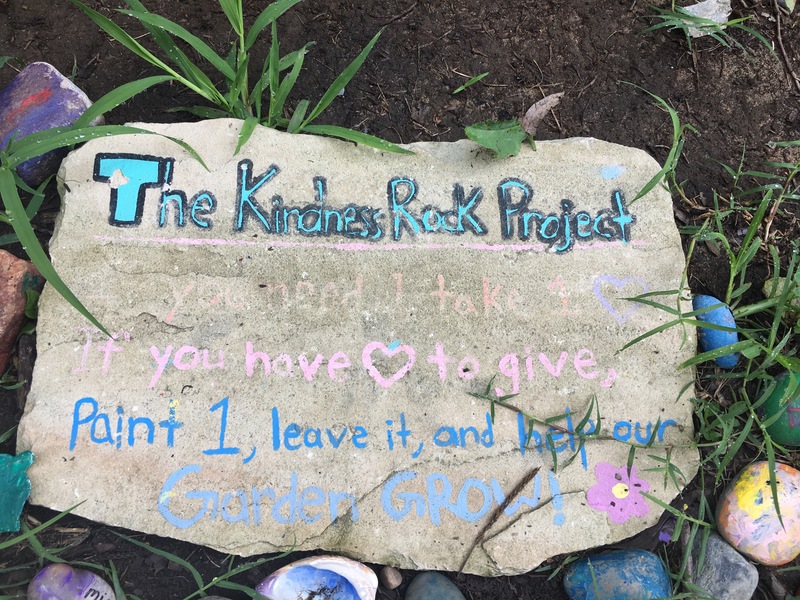 I wish I had taken some close ups of rocks that had quotes that I liked, but I’m sure I’ll be back soon and they will still be there, so, next time! Previous postThis Girl is on Fireeee! Next postDopey Training, Week ?